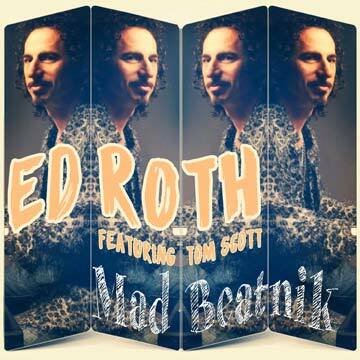 "Mad Beatnik," the album by Ed Roth, features a host of renowned musicians, including 3-time Grammy winning saxophonist Tom Scott, as well as Rock & Roll Hall of Fame inductee and Grammy winning drummer, Chad Smith! 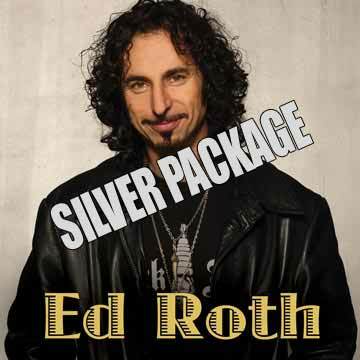 With the Silver Package, a copy of the "Ed Roth" debut CD will ship out to you and upon purchase you will immediately be emailed a link to download a copy (mp3s) of the entire album! With the Gold Package, a personally Autographed copy of the "Ed Roth" debut CD & a personally autographed 8x10 will be mailed out to you (to see photos 1-4, go to the Accessories section) and upon purchase you will immediately be emailed a link to download a copy (mp3s) of the entire album! 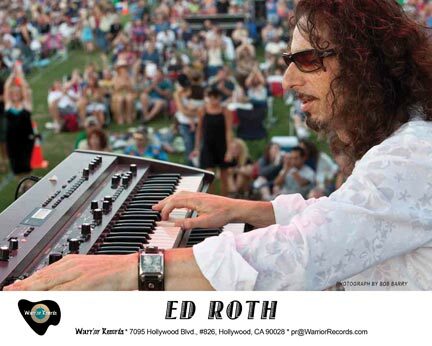 - 10/11/13: "Ed Roth: Keyboard Versatility" ~Roland U.S.
Sought after keyboardist, producer, arranger and musical director Ed Roth, returns with the release of his second solo album romp, "Mad Beatnik" (a iTunes Top 25 Jazz Album)! The 11-song release is a follow up to his critically acclaimed debut self-titled album, which boasted three singles, including Roth's innovative 75th anniversary cover of the George Gershwin classic, "Summertime" (most-added in it's first three week's of release and a Top 40 single at Billboard Smooth AC stations). 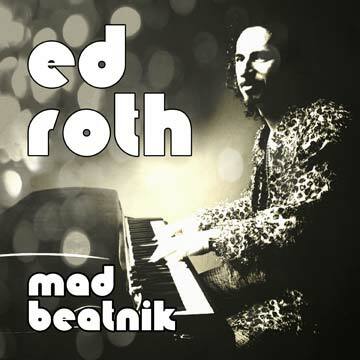 "Mad Beatnik is a truly organic album," notes Roth. "There is no programming, no midi, no sequencing, no beat detective, no auto tune. Every keyboard instrument is real -- acoustic pianos, electric pianos, clavinets, or analog keyboards, and you feel that. All real instruments, drums, sax, trumpet, percussion, guitar, trombone, and electric bass or keyboard bass...and you certainly feel that too." The new album features a who's who of musicians, including 3-time Grammy winner Tom Scott on sax, as well Rock and Roll Hall of Fame inductee and Grammy winning drummer Chad Smith. Also lending their talents are Rock Deadrick on percussion (Ziggy Marley); Mitch Manker on trumpet and horns (Ray Charles), bassists James Manning (Chaka Khan and Billy Preston) and Andrew Ford (Whitney Houston), guitarists Linda Taylor (Tracy Chapman) and Joe Calderon (Billy Childs), and Tony Grant (Az Yet) with featured vocals. The album is engineered by Grammy winner Ryan Hewitt, mastered by Eric Boulanger, and co-produced by Roth and Warrior Records' President, Jim Ervin. "I feel fortunate to have so many longtime friends lift up my album with their talents, great playing, and technical expertise," said Ed. "I've worked for so many years with all of them that they can instinctively feel what I am trying to achieve." Growing up in a home where only Brazilian and classical music were allowed, the Washington D.C. native built his initial love for R&B music by staying up late listening to Howard University's radio station on headphones, after his parents went to sleep. 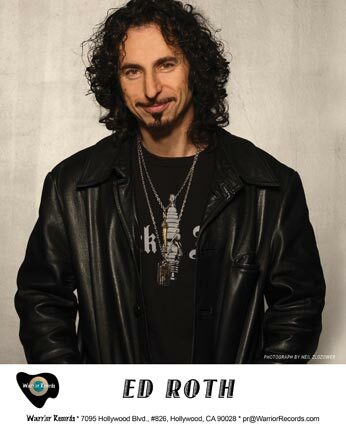 Roth developed a commitment to the groove that comes from years of playing with the likes of Coolio, the Brothers Johnson, and Mya. 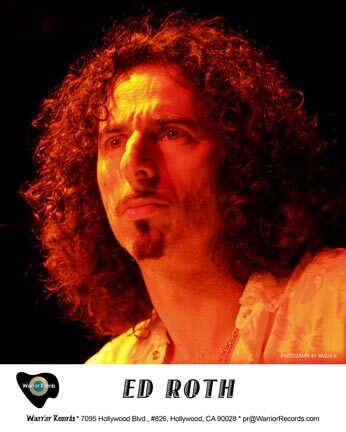 As Sophie B. Hawkins Music Director, Roth developed a deeper love of melodies and great songs, while performing the excitement of rock music with artists including Glenn Hughes, Ronnie Montrose, Rob Halford, and Chris Impellitterri allowed him to expand his horizons as a player. "You have to follow your musical mistakes sometimes," said Ed. "They can lead you down a fresh path, which will push the envelope of what you know and help expand your creativity." 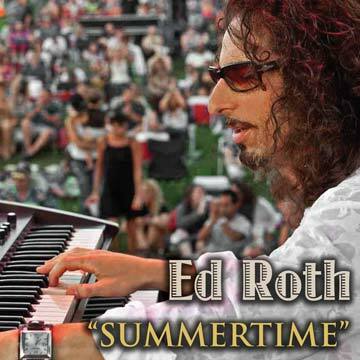 Utilizing acoustic piano, Fender Rhodes, and Hammond B3 organ, Ed Roth creates musical stories that last. His soulful, lyrical melodies sit on top of organic grooves, boasting the warmth of vintage 70's music, but updated for a new era. 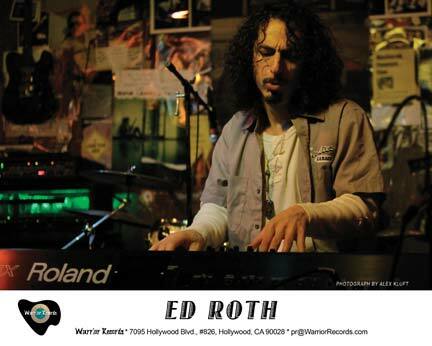 Roth, an L.A. based arranger and session keyboard player, has recorded with a diverse range of artists; from Sophie B. Hawkins to Coolio to Rob Halford to the Avett Brothers. 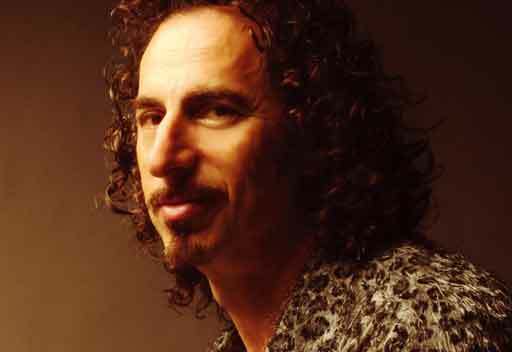 He is a featured member of both the Bombastic Meatbats featuring Red Hot Chili Peppers drummer Chad Smith (Top 10 iTunes Jazz and Top 25 Billboard Jazz charting projects), and CTA with former Chicago founder/drummer Danny Seraphine. 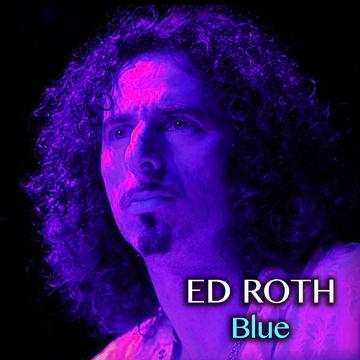 Roth also co-produced Kristine Weiss' #1 iTunes jazz single, "What I Like About You," as well CTA's single, "Promise." "Music needs to make the world a more beautiful place, but sometimes it's gotta have some fire to it as well," says Roth. 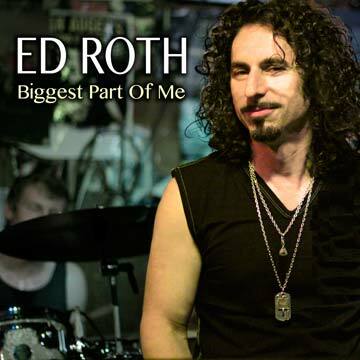 Nicknamed "the Wrench" by his friend Chad Smith for his strong personality and abilities to fix any musical situation, Roth holds nothing back with his music. 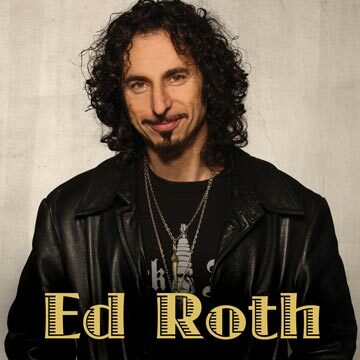 "Because there are no lyrics to hold on to, the melody has to be twice as strong," says Roth. 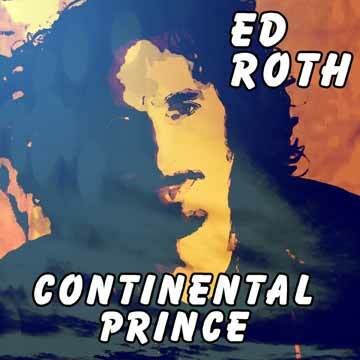 It's clear that Ed Roth's songs emote lasting melodies and solos that speak to the listener like a short story and "Mad Beatnik" is the perfect example. "This is an album I meant to be heard, indulged in headphones, blasted while rolling down the freeway, and vibed to in the wee hours of the wolf," relates Roth. "I took my time writing songs that speak, with melodies that sing and stay with you'I hope it reaches you."